Great Starter Home by Schools and Parks! Affordable! Excellent Opportunity for First Time Buyers or just wanting to downsize! 958sq.ft. 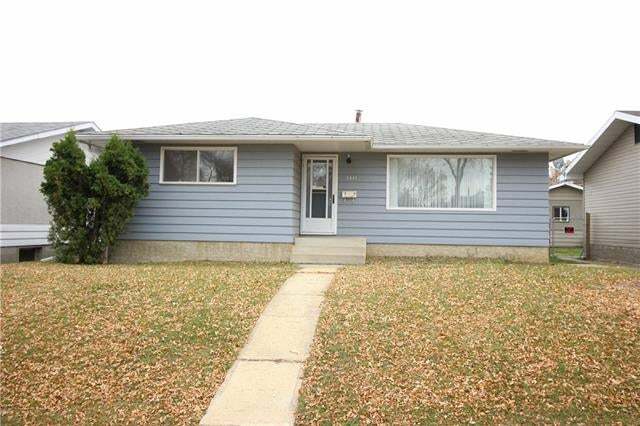 (2+1) bedroom family bungalow with a great location! Features a Lovely Spacious living room, bright country style kitchen with ample cabinetry. Bright dinette with patio doors to private large deck. Spacious Master with double closets, bedroom and bathroom on main floor. Developed basement with large family/games area, bedroom, bathroom, cold room and huge laundry/utility area. Private yard, courtyard, deck, 24x26 garage, RV parking, alley access and more! Lots of potential! Affordable! Take a look! Floor Area 958 Sq. Ft. Lot Size 0.14 Sq. Ft. Listing Brokerage Central Agencies Inc. The trademarks REALTOR®, REALTORS®, and the REALTOR® logo are controlled by The Canadian Real Estate Association (CREA) and identify real estate professionals who are members of CREA. The trademarks MLS®, Multiple Listing Service® and the associated logos are owned by The Canadian Real Estate Association (CREA) and identify the quality of services provided by real estate professionals who are members of CREA. - Listing data updated on April 23, 2019.